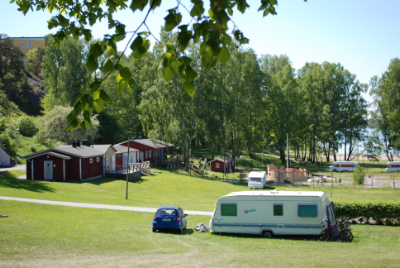 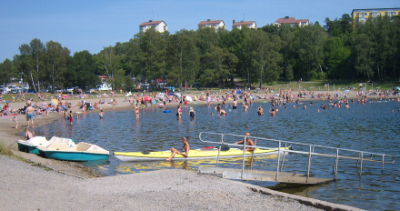 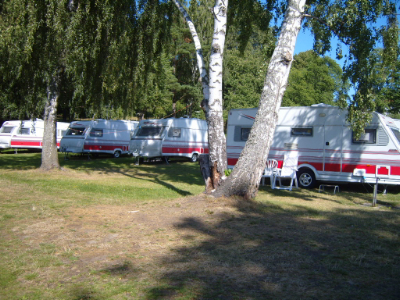 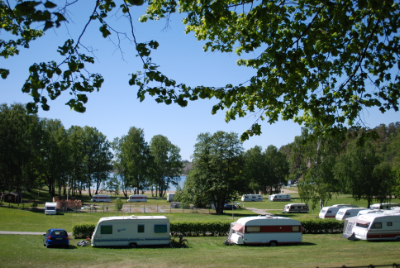 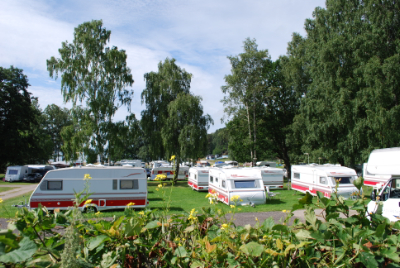 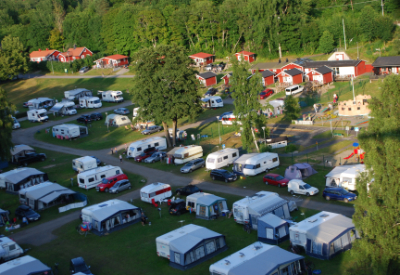 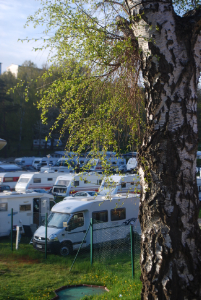 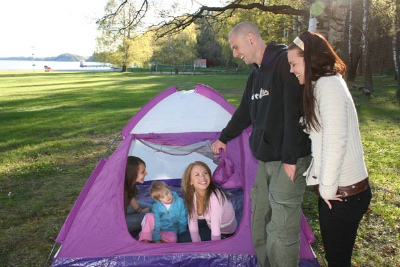 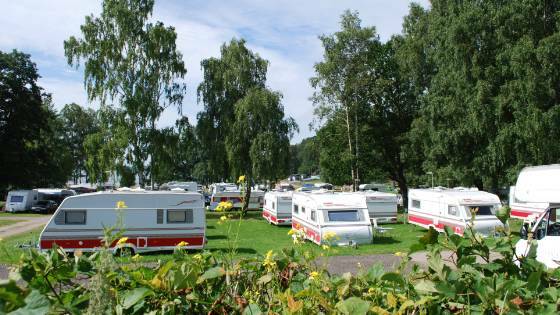 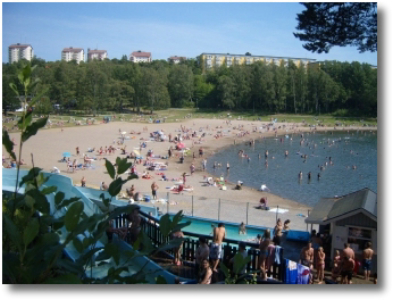 The campsite is located by Nickstabadet, Nynäshamn's large seaside beach with sandy beaches and large grassy areas. 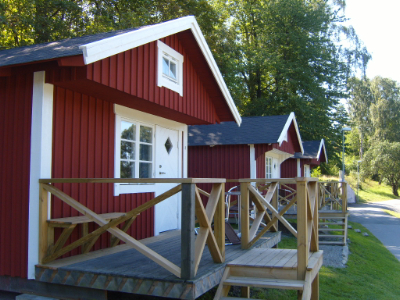 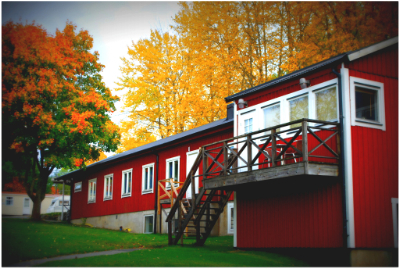 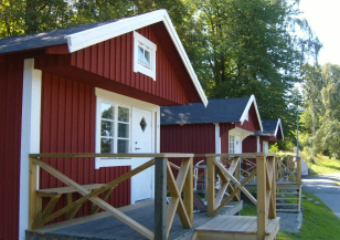 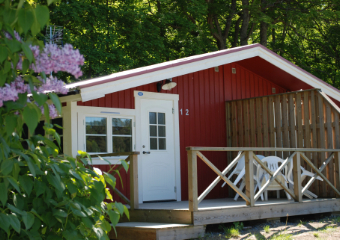 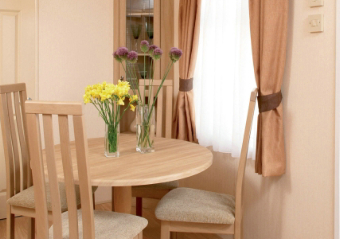 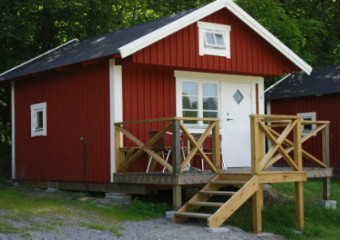 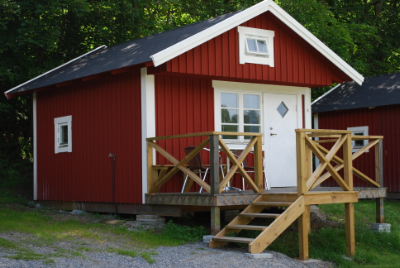 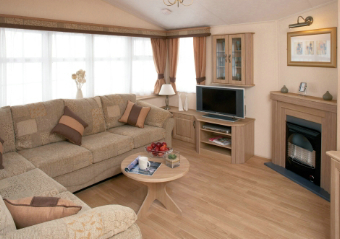 We offer everything from small cottages to well equipped cabins for rent all year. 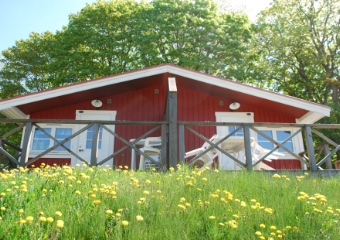 Good communications such as motorway and commuter train to Stockholm offer a sense of the big city yet with the archipelago on your doorstep. 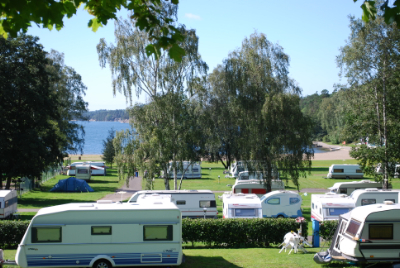 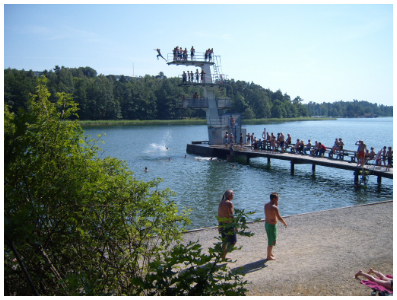 Here you will find camping pitches and tent pitches by an excellent sea cove with a large sandy beach, diving tower and water slide and within walking distance of the charming summer town of Nynäshamn. 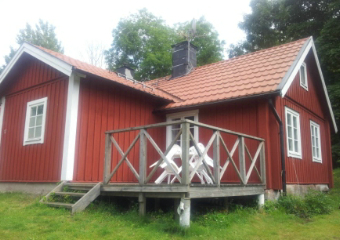 2+2 beds. 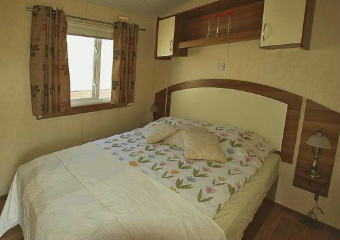 Bedroom with a small double bed. 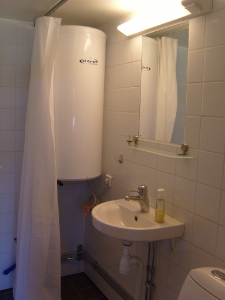 Loft with 2 mattresses. 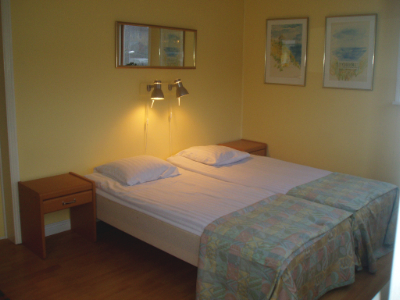 Pillows and covers. 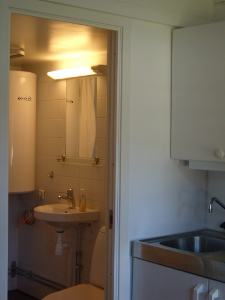 Kitchenette Shower and wc. 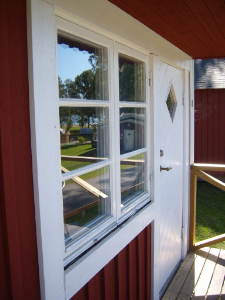 Pets not allowed. 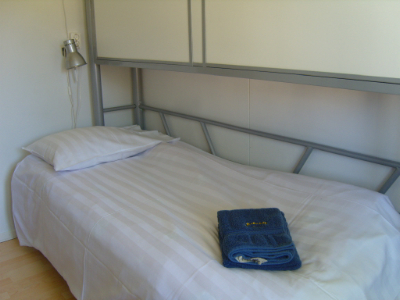 In the youth hostel you can choose anything from a bed to a double room with shower, WC and TV. 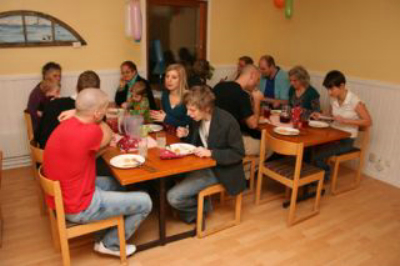 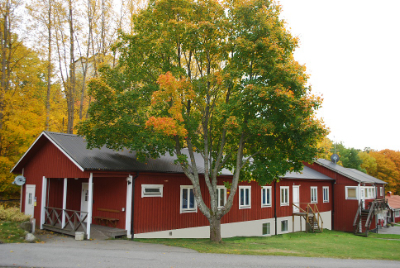 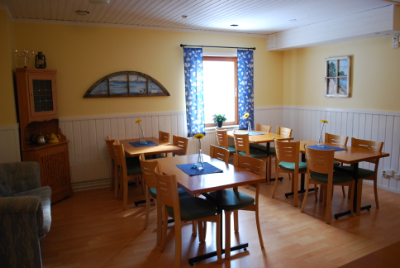 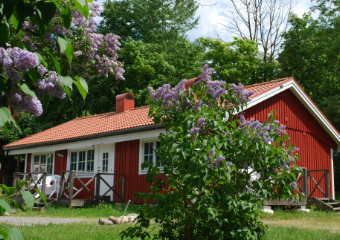 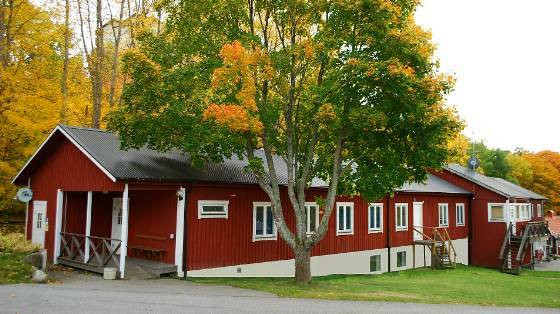 There is a self-catering kitchen, solarium and sauna in the building. 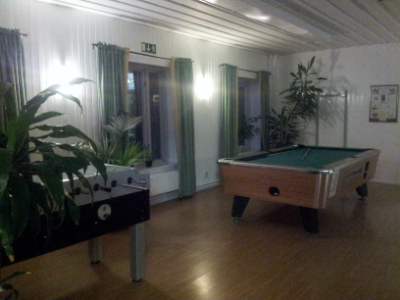 In some rooms pets are welcome.